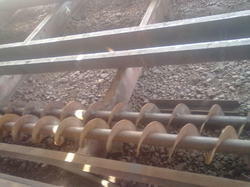 Drag Chain Conveyor that is suitable for handling loose, lumpy, slightly sluggish, hot material. Made using quality tested steel, these are enclosed conveyors and provides low product degradation with high capacity in heavy duty applications. Our range is widely known for optimum performance and durability. We are engaged in offering a wide range of Industrial Screw Feeder ( Screw Conveyor ) , which is manufactured using mild steel and stainless steel. The feeder can be provided with multi feed point and discharge points as required by our clients. Screw Feeders are durable and offer high resistance to corrosion. We manufacture and trade superior quality range of Forging Chain that is used for cane feeding in cane washing in the sugar industry. 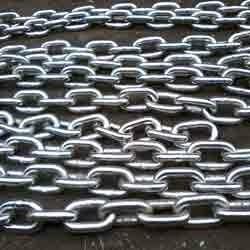 This chain is manufactured under the guidance of skilled professional utilizing quality approved basic material in compliance with international standard. In order to meet the diverse needs of the clients', this chain is available in different specifications and be customized as per instructions given by the client within the promised time frame. Our organization is the prominent manufacturer and trader of high quality Flyash Handling Bend & Pipe. These pipe are designed and manufactured in compliance with the industry standards using high grade material of construction. These pipe fittings are developed with qualitative raw material. We offer custom made pipes as per their exact requirements of our clients. 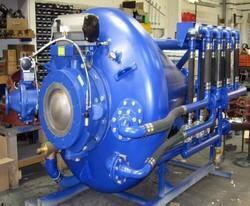 Looking for Flyash Handling Bend and Pipe ?